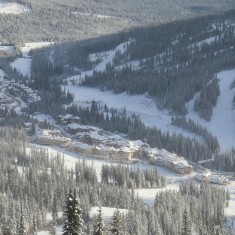 Sun Peaks Resort | Sun Peaks Resort | Ecosign Mountain Resort Planners Ltd. 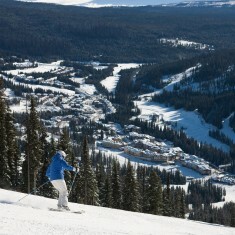 Since 1992, Ecosign has acted as the primary consultant and project planner for the transformation of the Tod Mountain Ski Area into Sun Peaks Resort, which is now a four-season resort community with approximately 500 residents and 8,000 beds. 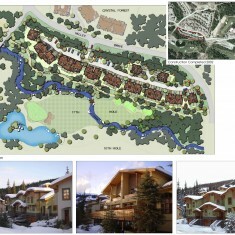 Over $550 million has been invested by both the Resort as well as private developers to expand the ski area onto 3 mountains, construct an 18-hole championship golf course and build over 1,600 new dwelling units. During this period annual skier visits have increased significantly from just over 62,000 in the early 1990’s to over 362,000 in 2015/16. Visits dropped during the Great Recession but have remained steady at around 325,000 skier visits and 50,000 summer visitors per year. Initial Resort Master Plan, three Master Plan updates and continuous Master Plan revisions to adapt to the new requirements of the growing resort community and the changing market place. 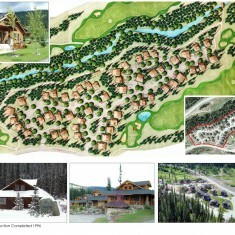 Ski area design, including lift selection and trail design, specifications and field layout. 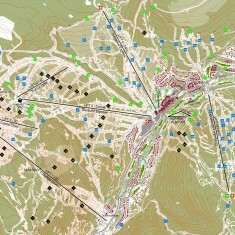 Construction level design for lifts and trails. Recreation facility planning, layout and design for an 18-hole golf course, valley trail system, mountain bike park, sports centre and other recreational trail networks. 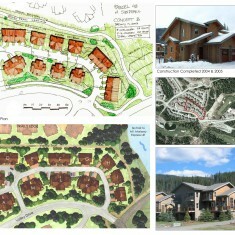 Detailed village design for two resort villages including massing, volumetrics, design guidelines and 3D modeling. 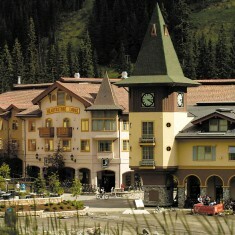 Project management for design development and construction of the Sun Peaks Grand Hotel & Conference Centre. Conceptual design services for village buildings, tourist accommodation, townhouse and single family projects. Landscape and streetscape design for the overall area together with individual development projects. Advice and assistance in obtaining development approvals. Creating and establishing the framework for resort governance and administration.